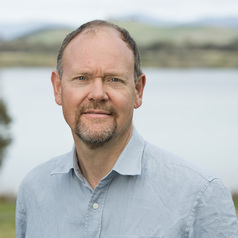 R. Quentin Grafton FASSA is Professor of Economics, ANU Public Policy Fellow and Director of the Centre for Water Economics, Environment and Policy (CWEEP) at the Crawford School of Public Policy at the Australian National University. In April 2010 he was appointed the Chairholder, the UNESCO Chair in Water Economics and Transboundary Water Governance and in August 2013 was appointed Executive Director at the Australian National Institute of Public Policy (ANIPP). Previously he was Chief Economist and Executive Director of the Australian Bureau of Resources and Energy Economics (2011-2013), Senior Fellow at the Centre for Resource and Environmental Studies (2001-2004) at the ANU, Director of the Institute of the Environment (1999-2001) at the University of Ottawa, Canada. He has an abiding interest in the problems of the environment and public policy, especially the overexploitation and management of renewable resources (particularly fisheries and water), and the economics of energy and also the economics of non-renewable resources.